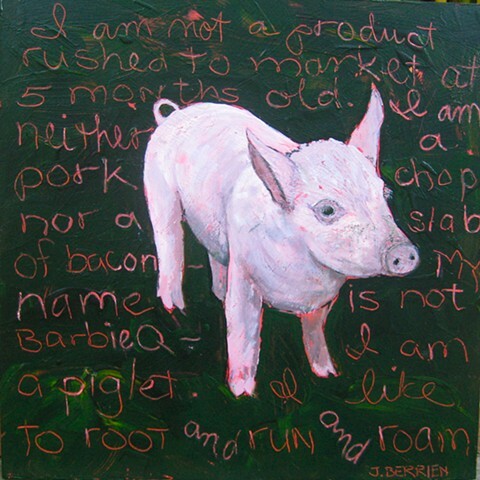 "I am not a product, rushed to market at 5 months old..."
Small, pink piglet on a green/black background, incised with his tweet. "I am not a product, rushed to market at 5 months old. I am neither a pork chop nor a slab of bacon. My name is not Barbie Q. I am a piglet. I like to root and run and roam"